What to do and say if arrested for Domestic Assault and Battery. 1.) Do Not Speak to the Police if Arrested for Domestic Assault and Battery. Typically a situation involving domestic assault and battery will result in one or both of the parties involved calling the police or a third party/neighbor will call the police to report the incident. When the police arrive, understand that you have absolutely no obligation to speak to the police or make a oral/written statement to law enforcement. Because domestic disputes can create extremely hostile environments, the police will seek to first diffuse the situation by separating the parties involved into separate areas before they make an arrest. Law enforcement will often use any statements you make to them against you in determining whom to arrest. Furthermore, these statements made at the scene can be used against you in court if you are subsequently criminally charged for Domestic Assault and Battery, so it is best not to speak at all to the police to help preserve your innocence and protect your constitutional rights to remain silent. 2) Be Prepared to have “No Contact” with the Alleged Victim of the Assault. If arrested and charged criminally with Domestic Assault and Battery, the first step in the legal process will be your arraignment before a Magistrate. The arraignment is where you will be officially “charged” before the court and the magistrate will determine bond. In Domestic Assault and Battery cases, the Magistrate will often issue a “no contact order”, ordering the defendant to have no contact whatsoever with the alleged victim of the assault. This no contact order can include calling or texting the victim; reaching out to the victim or the victim’s family via social media; arriving at a person’s place of residence, business, or employment; and can even exclude you from residing at your home if the alleged victim lives at the same residence as well. Your strict observance and following of the no contact order is tantamount to a successful defense of your criminal charges. A violation of your no contact order can result in a revocation of your bond; incriminating statements made by you can be used against you in court; and you face the potential of being levied with additional criminal charges such as tampering with a witness. Your best solution is to speak with your attorney to discuss any issues you may have with the no contact order so these issues can resolve themselves in open court before the judge without harming you in any way. Conversely, if the alleged victim continues to contact you despite your best efforts to abide by the no contact order, bring this to the attention of your attorney immediately! Parties involved in a domestic assault and battery case will often have children in common as well as property in common. Just because you have been charged with domestic violence or assault and battery does not mean that you automatically lose your parental rights, custody rights, or visitation rights. However, being charged with domestic assault and battery and a resulting conviction can negatively impact you in each of these areas. Furthermore, property issues such as your home, finances, and personal belongings are jeopardized as well if charged or convicted of domestic assault and battery. While focusing on the criminal aspect of your domestic violence case is extremely important, you will want to remain vigilant in understanding all your rights that can be affected, especially when it comes to your family and property rights. Reaching out to a skilled Attorney early on in the process following your arrest or immediately after you have been charged with domestic assault and battery will help you to protect your personal and family interests that can be greatly impacted throughout your criminal process. 4) Understand Your Rights and Direction of Your Case Throughout the Court Process. A criminal conviction for domestic assault and battery can have life altering consequences. Thus gaining a firm understanding of your rights in court as well as obtaining a firm grasp on the direction you want your case to take is key to obtaining a successful resolution of your assault case. Should you go to trial or take a plea deal? Are there any favorable witnesses available who can testify on your behalf? Do you have a full understanding of all of the evidence against you and in favor of you in your case? Do the facts in your case support a dismissal of the criminal charges? What to do if the victim no longer wants to prosecute? What are my rights if I acted in self-defense? If convicted, what legal consequences will you face? What about your employment or any child custody issues resulting from a domestic assault and battery conviction? These issues and several others should all be discussed with your Attorney in detail before you make any legal decisions affecting your legal rights and the eventual outcome of your case. Having a clear picture of your objectives and goals going into a criminal matter will aide you greatly by placing you in the best position possible to address your domestic assault charges in the court of law. As mentioned above, understanding your rights and the direction of your case is very important if you plan to successfully defend against a domestic assault and battery charge. Unless your case ultimately get’s dismissed, you will at some point have to determine whether to plead guilty to the offense or go to trial. In most cases (not all cases however) first time offenders will usually be offered a plea deal to either reduce the domestic assault charge or plead under Michigan’s Spousal Abuse Act, MCL 769.4a. Under MCL 769.4a, with the consent of the victim, a person is typically placed on probation for 12 months or more and ordered to complete a number of probationary conditions such as anger management counseling and batters classes; drug or alcohol treatment;family counseling; and other court conditions the judge may impose. The benefit of a 769.4a plea is that the plea is never placed on your criminal record and after your probationary term has been successfully completed your case will be officially dismissed. Be mindful however that a plea under 769.4a does entail a “plea of guilty” before the court, and it is never advisable to plead guilty if you are indeed innocent. Conversely, understand that a trial is a specific fact-finding process in which the prosecution (not yourself) has the burden to prove beyond a reasonable doubt that you are indeed guilty of domestic assault and battery. A trial is where witnesses, including the victim can testify before a judge and jury regarding the evidence and facts of what happened during the alleged assault. The Judge or Jury will then deliberate on the evidence and render a verdict. In many cases a trial is the last process in which a defendant may be exonerated before the Court. While a 769.4a plea offer is no longer available if you have been convicted at trial, having an engaged and informative discussion about your trial rights and plea options with your Attorney is extremely necessary and beneficial to you in helping you reach the best outcome for your case. At the Law Office of Kevin Bessant & Associates, PLLC, “Guarding Reputations, Restoring Lives, and Protecting Freedom’s” has continued to be their primary objective by providing superior client services, aggressive legal representation, and winning results. Attorney Kevin Bessant specializes in Criminal Defense Litigation for persons charged with drunk driving, criminal expungements, domestic violence, weapon and gun offenses, drug charges, felony and misdemeanor offenses, and Federal crimes. Serving Wayne County, Oakland County, Macomb County, Washtenaw County, and Monroe County in Michigan. As a criminal defense attorney in Detroit, Michigan, one of the first questions asked of me by many of my clients following an arrest is “I was arrested and the police never read me my rights, shouldn’t my case be dismissed”. For many clients, a belief exists that this failure by the police to read them their Miranda Rights or provide a “Miranda Warning” constitutes an automatic dismissal of their ensuing criminal charges. This often leads me with the responsibility to explain the purpose of the Miranda Warning, and how the court will ultimately view the police officer’s failure to read my client their Miranda Rights. Often surprised, and sometimes even outraged by my response that the failure of the police to read my client their Miranda Rights will not alone result in the dismissal of their criminal charges, I thought it was worthwhile to review the historical background of the “Miranda Warning” and its current role in the 21st century of social media to help my clients and the general public understand their rights under the Miranda law. The “Miranda Warning“, more commonly referred to as “Miranda Rights”, acts a constitutional safeguard by police to warn persons in police custody, or those subject to custodial interrogation by law enforcement of their consitutional right to remain silent and not make any statements (written or oral) to law enforcement while in custody. The Miranda Warning was first established in the historical Supreme Court case of Miranda v. Arizona in 1966. Ironically, the Miranda Warning is not only provided to protect the rights of the arrestee, but also to preserve the admissibility of any statements provided by the arrestee to law enforcement in court. The ultimate goal is to preserve or safeguard a person’s Fifth Amendment right against self-incrimination by offering a statement or confession to the police without first knowing their right to refuse to do so. Thus, after being read their Miranda Rights, if a person makes a confession or statement to the police, that confession or statement would not be a violation of their right against self-incrimination and will likely be upheld in court during the criminal proceedings. The above Miranda Rights however are not always given or provided by law enforcement, which leads to much of the confusion of when Miranda Rights should be read and provided by the police, and the consequences for police when these rights are not given. When should Miranda Warnings be invoked by the Police? At what point should police provide the Miranda Warnings or read a person their Miranda Rights is of critical importance to understand. Legally, the police or law enforcement must read a person their Miranda Rights at the point a person is arrested by the police (i.e. handcuffed); detained by the police (i.e. held for questioning or where a person believes that he or she is not free to leave); or where a person is subject to police custodial interrogation in which it is expected that a person is to speak or provide a statement about the crime(s) in question. Thus, when a client tells me that the police failed to read them their Miranda Rights, one of the first questions I ask my client is exactly what point did you feel that you were under arrest? This is where the clock begins to tick in terms of whether or not a person’s Fifth Amendment right against self-incrimination has been violated or not. 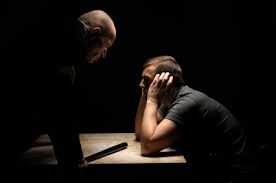 Any statements or confessions provided to law enforcement prior to being under arrest is fair game and in most cases admissible as a confession in court against the defendant. Examples of when the police do not need to read you your Miranda Rights include a routine traffic stop where the police officer asks you “have you been drinking” or “have you been smoking marijuana” and you respond “YES”. Your statement of “Yes”, will be considered a voluntarily statement and not one of self-incrimination because at that time you were not under arrest or technically in police custody. However, if and when the officer decides to arrest you, at that point the Miranda Warnings should be given to protect you from providing any incriminating statements to law enforcement without prior knowledge of your Miranda Rights. If these Miranda Warnings were not given, and you still provided the police with an incriminating statement or confession, then a criminal defense attorney can argue that the confession should be inadmissible and thrown out in violation of the Fifth Amendment. The issue of whether or not a person adequately invoked their right to remain silent remains one of the most debated constitutional challenges in criminal law today. More importantly, in an era where more and more crimes are being investigated by law enforcement via social media, a question remains as to whether or not a person’s admission of a crime on a Facebook post or during a tweet will raise the constitutional challenge of the Fifth Amendment where no Miranda Warnings could have possibly been given prior to an arrest. Most recently was was the case of Matthew Cordle who posted a youtube video admitting that he killed a man while driving drunk prior to his arrest, only later to enter a not guilty plea in court in his attorney’s attempt to present the youtube video as inadmissible evidence. As the law is ever evolving concerning the Fifth Amendment and a persons right to invoke their right to remain silent, as a Detroit Criminal Defense Attorney, my advice is to ALWAYS REMAIN SILENT when it comes to speaking to the police. It is far better, and much easier to not to make a statement at all to the police instead of challenging the validity of the statement in court only to have the Judge rule the statement or confession as being admissible. Although I am certain that the future will present many situations where the issue of Miranda Rights will be at the forefront of my case, my hope is that this article has helped shed some light on this confusing yet all important topic. Is Renisha McBride A Repeat of Trayvon Martin? At first glance when the local news first reported the shooting death of 19 year old Renisha McBride, an African-Amercian female, who was shot and killed by a white homeowner, Theodore Wafer, 54, of Dearborn Heights, Michigan, an immediate feeling of frustration and anger was experienced by the African-American community not only in Detroit, but nationwide. Although the initial news reports did not provide many details of the incident other than Renisha McBride being involved in an auto-accident and possibly looking for further help and assistance, the racial overtones and circumstances of the killing undoubtedly channeled those of the recent shooting death of Trayvon Martin in Florida, followed by the acquittal of his shooter George Zimmerman. The obvious similarities include 1) Death by gun; 2) a youth or teen who died as a result of a shooting at the hands of an adult; and 3) unclear facts and few witnesses to the incident. The racial overtones, frustration and outrage in the Trayvon Martin incident however are mirrored in the case of Renisha McBride by a similar pattern of 1) Delayed police investigations and reporting; 2) Delayed Arrest and prosecution of shooting suspect; 3) Unarmed Black teen located in a predominately white community; and 4) National media attention zeroing in on the issues of race, self defense and gun laws. As an African-American criminal defense attorney in Detroit, both the shooting deaths of Trayvon Martin and Renisha McBride raise many conflicting and often times challenging legal and racial issues within me. In the case of Trayvon Martin, I had to question why a teenage child armed with nothing but a iced-tea and pack of skittles had to meet such an untimely and unfortunate violent death. A death that many believed could have been avoided had George Zimmerman simply followed the directions of the 911 operator and stayed put without taking it upon himself to actively follow Trayvon Martin. The criminal defense attorney in me however strongly believes in the use of self-defense, and if I were representing George Zimmerman at trial, I could definitely rationalize before a jury the use of deadly force if Zimmeran believed his life was in immediate danger at the hands of Trayvon Martin. Admittingly, once the jury verdict was read and George Zimmerman was found not guilty, I again empathized with the pain, grief, and feeling of forgone justice that Trayvon Martin’s parents and the African-American community would soon endure. However, as a criminal defense lawyer I could not help be feel a sense of relief knowing that legally the prosecution absolutely failed to meet its burden of proof based upon a charge of predmediated murder, and that the jury had no choice but to return such a verdict based upon the weak and often inconsistent evidence the prosecution provided. Unfortunately, a similar conflict within me will once again arise as more details of the Renisha McBride killing surfaces and the criminal matter proceeds to trial. As a criminal defense attorney, I understand the importance of advocating for, and providing a zealous defense of your case, regardless of the race, gender, or orientation of the clients we represent. I also understand the prosecutor’s duty to seek justice for the victims of crimes and the clients they represent. But in cases such as Trayvon Martin and Renisha McBride, the difficulties of separating my experiences as an African-American and that of an criminal defense lawyer will always exist. Racial overtones will undoubtedly intertwine themselves with many of the facts and details in this case, despite Renisha McBride’s parents request to exclude race as being a predominant factor. Renisha McBride: Parents do not want race to be considered as factor in case. An array of legal issues such as self defense, reasonable force, permissive use of deadly force, homeowner’s rights, and gun laws will pervade both the courtroom of law and the courtroom of public opinion for weeks to come. However the conflicting issue for many, including myself will come down to the question of whether or not Theodore Wafer’s shooting of Renisha McBride was motivated not by a honest belief of imminent danger and intrusion, but rather by the color of her skin. I know that racial conflicts and challenges will always exist in my criminal practice as tragic stories and incidents of gun violence are one too many in urban cities such as Detroit. In the meantime however, I must continue to learn from the experiences of both the Trayvon Martin and Renisha McBride incidents and only hope that as a nation we learn a valuable lesson on race and law as well.